How do Chinese exporters receive payments from customers in Iran? We were called by our bank who reminded us to stay away from doing business with Iranian customers. It seems there's no trace of removing the imposition of monetary sanctions against Iran despite the reported U.S. agreement with Iran to lift restrictions on commercial dealings. How do we do business with Iranian customers and receive payments from them without risking the freezing of our bank account? The safest way to receive payments from customers in Iran is through Kunlun Bank (Bank of Kunlun Co., Ltd.), a unit of state-controlled China National Petroleum Corporation (CNPC). The bank was sanctioned by the U.S. government in 2012 for providing significant financial services for designated Iranian banks, but this does not influence the bank's business as the bank was specifically designated by China to process transactions with Iran in an attempt to shield other Chinese banks from penalties while still maintaining the country's trade relations with Iran. Kunlun Bank has a strict pre-evaluation procedure on applicant qualifications. Small exporters have little chance to open an account in this bank. In addition to submitting various business document as required by other commercial banks during account application, the applicant must provide an informative company profile and detailed background description about their business relationship with Iran customers. Applicants are also required to submit audited financial statements of the past two fiscal years as well as proofs of business transactions during the previous year. The application will be evaluated by a team in their Beijing head office. It's not that worry-free even your account gets approved. You might be prepared for higher service rates and longer payment processing time compared with other commercial banks. Some account holders reported that they were charged as high as 1.5% of the order amount as commission for L/C payment processing. However if your customer agrees to make payment via T/T it will save you a lot on bank fees. Kunlun Bank does not help do examination of documents to see if they're are complying or discrepant, which is a standard practice for commercial banks according to the UCP600 rules. So proofread your documents carefully to avoid any discrepancy. Being a holding subsidiary of China National Petroleum CNPC, the bank's service priority has been given to CNPC and it's subsidiaries, followed by other central state-owned enterprises. Payment processing for private enterprises might be delayed during the peak seasons or when the Western sanctions on Iran are tightened. If you're not able to open an account with Kunlun Bank there might be some other banks that provide financial service. People in our community mentioned that Bank of Gansu Co., Ltd. could receive payments from Iran. This bank has lower threshold of opening an account than that of Kunlun Bank. 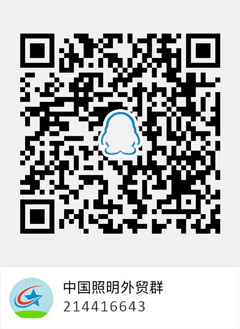 You can also work with a Chinese company who has a bank account in Kunlun Bank and provides payment collection service. Or you may ask your customer in Iran to find a agent in Dubai to help transfer money.